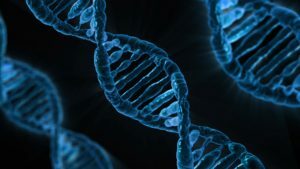 Researchers have announced a plan to DNA sequence all known species in the United Kingdom, excluding its overseas territories. The initiative has been named The Darwin Tree of Life project. The project is part of the Earth BioGenome Project (EBP), a $4.7 billion global effort to sequence the genomes of all of Earth’s known 1.5 million species over the next ten years. The UK project will focus on sequencing the genomes of eukaryotes – a branch of complex life containing organisms with cells that have a nucleus inside a membrane. So far, only 3,300 eukaryotic species have had their DNA fully sequenced. The current project will add roughly 66,000 species to that number. The UK project will set standards for the many efforts around the world that are sequencing the DNA of various species. The group includes about 25 scientists representing the Wellcome Sanger Institute, the European Molecular Biology Laboratory, the Natural History Museum in London, and the Royal Botanic Gardens, Kew. This will be the first attempt of its kind to target all of the species found within a single nation’s borders. The project’s first phase will require roughly $600 million in funding. The participating institutions plan to raise the funds from governments, foundations and charities. About $200 million has already been provided. Lewin expects the rest of the funding for the first phase will be secured within a year.